We sign up for health insurance for ourselves, but what about our furry companions? Many of us view our pets like family, myself included. One of the best parts of my day is coming home from work to be greeted by my dog and cat’s adorable faces. They always seem to know when I need a little extra love and have no problems comforting me on those bad-luck days. As their owner and provider, it is my duty to return the favor by making sure they always have a clean bill of health. This is easier said than done, though, and a trip to the vet can add up quickly in cost. So, I decided to check out cheap pet insurance as an option. Customized to your pet. Rates as low as $20 per month for cats and $50 for dogs for complete coverage, depending on animal, breed and age. This includes reimbursement for up to $5,000 per year, with 90% reimbursement from vet visits and a $250 deductible. Pre-existing conditions, breeding costs and cosmetic procedures are not included. Various plans do exist, though, even preventative care. Claims can be submitted online, via fax or by mail, whichever works best for you. You can visit any vet you choose and opt to receive reimbursements through direct deposit or mail. Plans can be customized from annual limit to receiving a larger repayment and more. When you add another pet, you can save an additional 10%. Not to mention, if you are unsatisfied, they do offer a 30-day money back guarantee. One plan with unlimited lifetime benefits and an annual deductible. Monthly prices vary from pet’s breed, age and deductible rate chosen. Their most popular option, as noted on their website, is an 80% reimbursement rate with a $250 annual deductible and a monthly fee of roughly $44 for a dog and $26 for a cat. Pre-existing conditions, preventative care, spay or neuter fees, and vet exams or office visits are not covered. Multiple pets can be added to the insurance plans, but there is no special discount for doing so. The company states that your pet is covered if it needs treatment for any accident or illness as long as it is not a pre-existing condition. This plan includes lifetime coverage for your pet with no caps on claims. For a basic plan, rates differ from dogs and cats. For dogs, it is around $33 per month for $5,000 annual coverage with a $1,000 annual deductible and 70% reimbursement. Plan includes coverage for illness and accidents as well as non-routine vet exam fees, cancer treatment, rehabilitation and surgery and more. Rates for a cat’s basic plan is lower at around $20 per month. Starting monthly rates seem to increase with pet’s age. Additional felines or canines can be added to a plan, but no discount is provided. Healthcare plans can be customized. In addition, an especially unique feature is the reimbursement for advertising or reward costs for lost or stolen pets or even strays. Alternative therapies may also be reimbursed. Behavioral therapies, boarding kennel fees, and non-routine dental care are also all part of the plan; however, each is subject to policy limits. Plans vary and can be customized to your needs and finances. For a default plan for a middle-aged pooch (seven years of age and older), a monthly rate of roughly $30 includes up to $8,000 of coverage each year, a $500 annual deductible, 80% reimbursement and no prescription insurance or wellness rewards. You can also do a similar basic plan that is only $20 per month and the same amount of yearly coverage, but it would be a $750 annual deductible and a 70% reimbursement. For younger dogs, monthly rates can start at $15. Cats are even lower with a beginning estimated monthly fee of $8. Regardless of pet, their plans do not cover pre-existing conditions, breeding, pregnancy, cosmetic surgery and the like. Embrace has Wellness Rewards, which is a “flexible routine care plan that covers everyday veterinary, grooming, and training costs.” This plan does not require a deductible or a co-pay. Discounts are also available for your plans when applying online as long as you answer honestly. 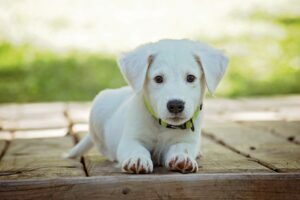 The cheap pet insurance plans discussed in this article provide coverage only for cats and dogs. It may be worth calling the companies, though, to see if they do have options for other types of pets. For those of you with cats and dogs, we hope you find this information to be helpful. Do you currently have insurance for your furry companion? Are the rates comparable to the ones mentioned above? Feel free to comment below or start a discussion in our forums. I wouldn’t really be the type of guy to have pet insurance however my pet always has the best treatment and vets there is. I have pet insurance through AKC Pet Insurance and we love it! The rates are competitive and they offer coverage for inherited diseases – which most companies I’ve researched don’t. Great investment if your dog is a breed that is known for its health issues.